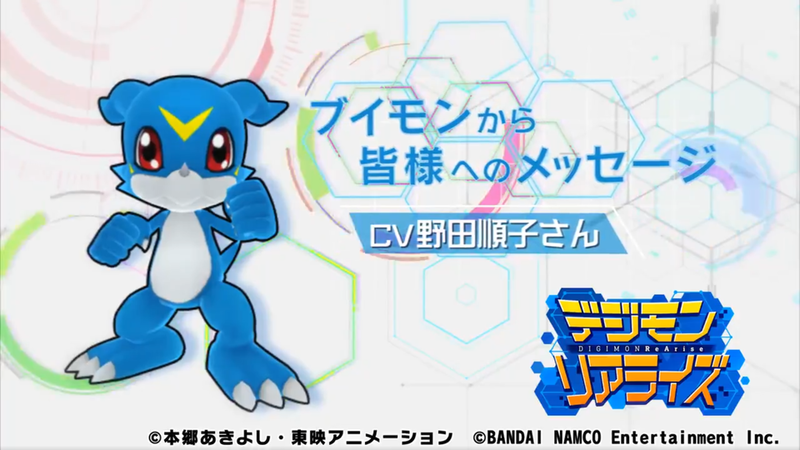 A promotion for Digimon ReArise is beginning, based on the theme of Digimon rearising in the real world. 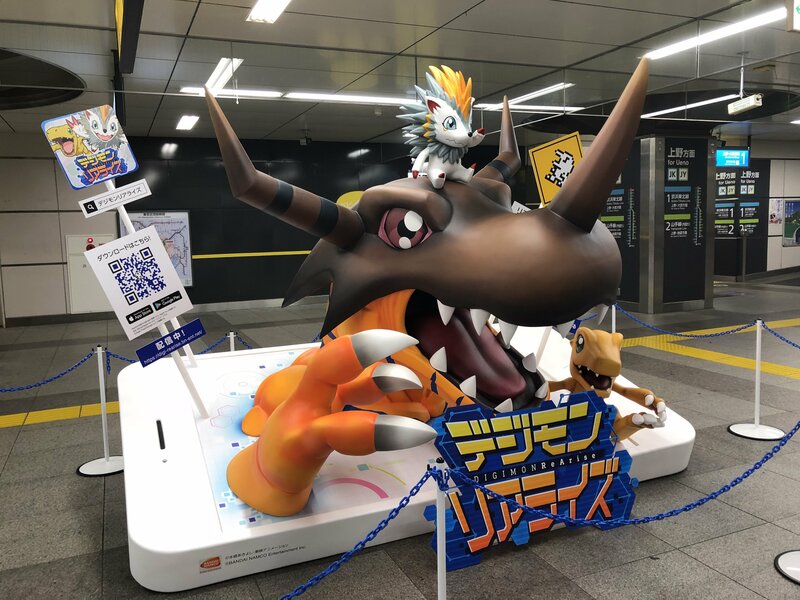 There is a nearly 8 foot tall statue at the JR Akihabara Station for the promotion. 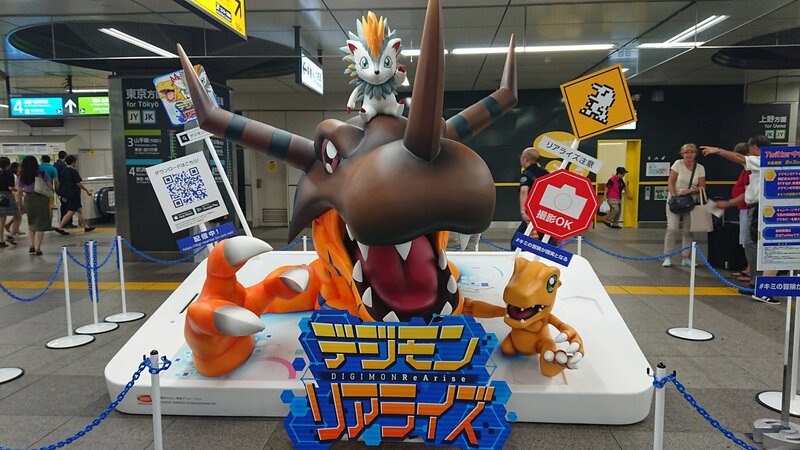 It features Greymon, Erismon, and Agumon rearising out of a smart phone. It will be on display until August 3rd. 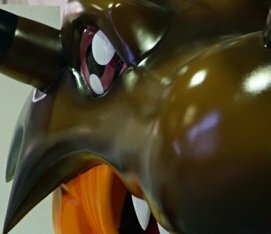 Update- Thanks to chuuuubet we have some great images showing the statue from 4 different angles. 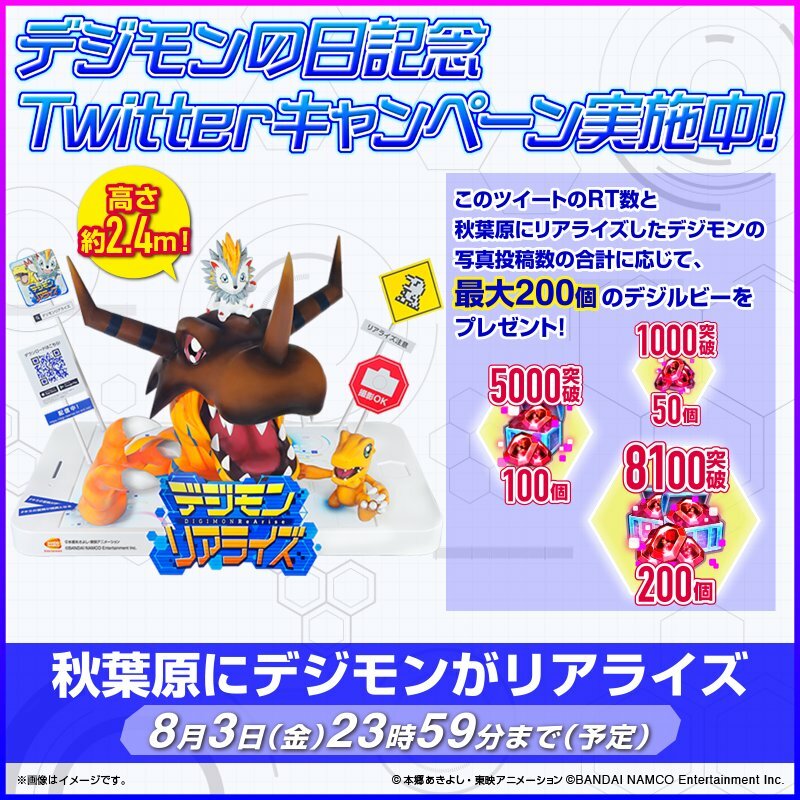 Update- We have the details for the Twitter promotion. The campaign will run thru August 3rd, the same as the statue being on display. If the total is over 1000, all players get 50 digirubies. If the total is over 5000, all players get 100 digirubies. If the total is over 8100, all players get 200 digirubies. A few other bits of news. 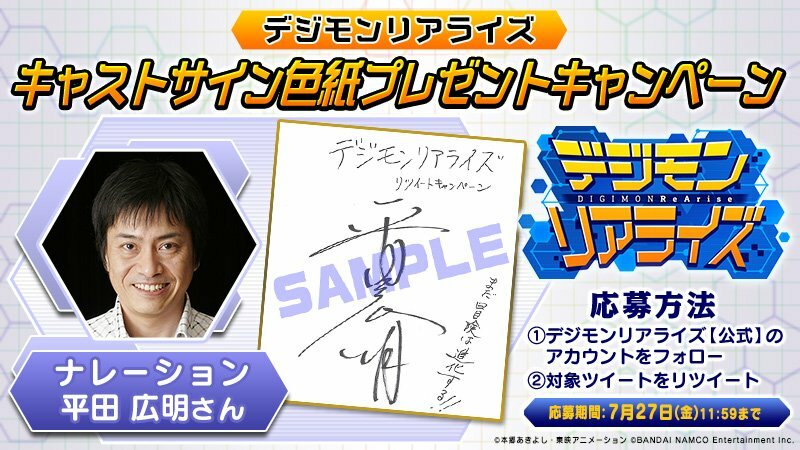 A Twitter Campaign for a Hiroaki Hirata shikishi ended a few hours ago. While it wasn't relevant to us, his long history with the brand makes it one of the more interesting Twitter prizes in recent memory. The event involving V-mon (the winner of a fan vote) will be starting on August 1st, and they've put a trailer on Twitter for the event featuring Junko Noda returning to the role. 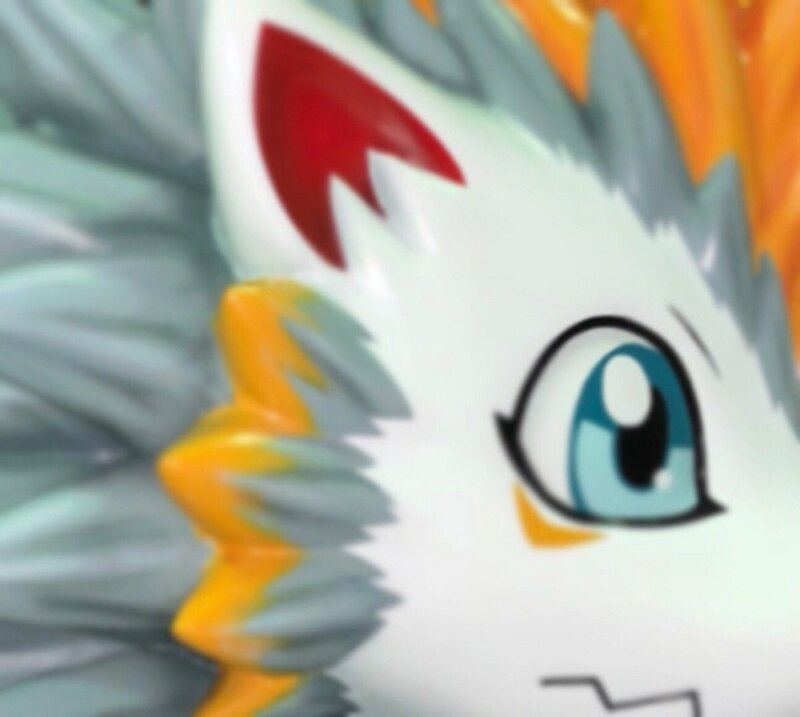 Update- Changed the top part of the article since we have a proper image of the statue. The original images are below. Thanks to shino_tora for the photo of the statue. 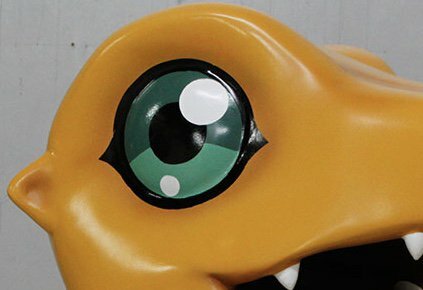 Greymon will be joined by Agumon and Erismon. 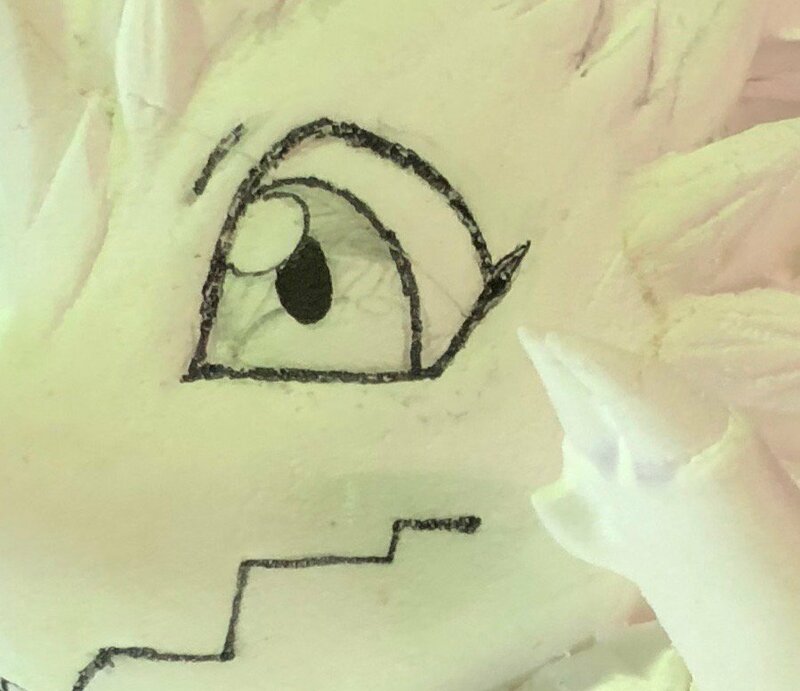 They tease the Erismon stuff a bit more than Greymon or Agumon, but it appears it's the making of an Erismon statue. 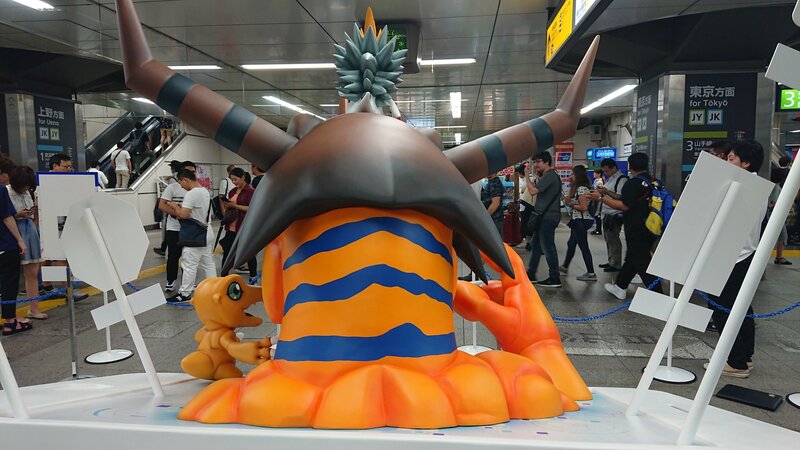 That statue is awesome! 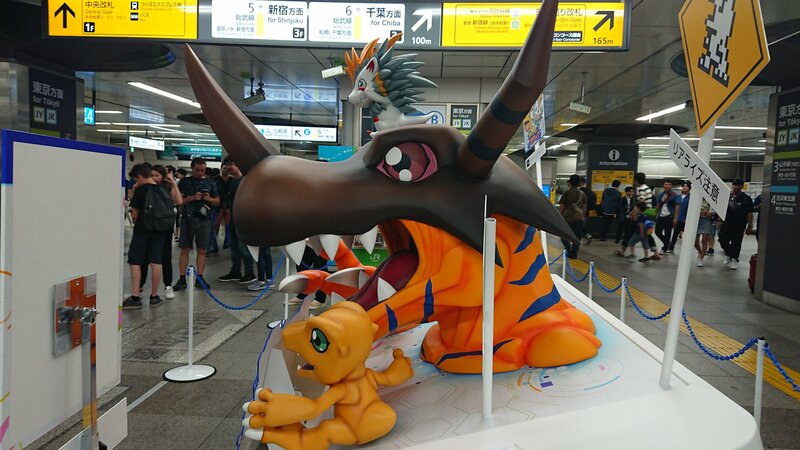 Really glad to see Digimon getting so much love during this weekend. I immediately got sad from the thought of that beautiful thing just sitting in a warehouse pretty soon... It's fantastic. So so so cool. I can’t believe this stuff won’t stay on display. It needs to!! I wish I could visit that in person! Looks great!!!! 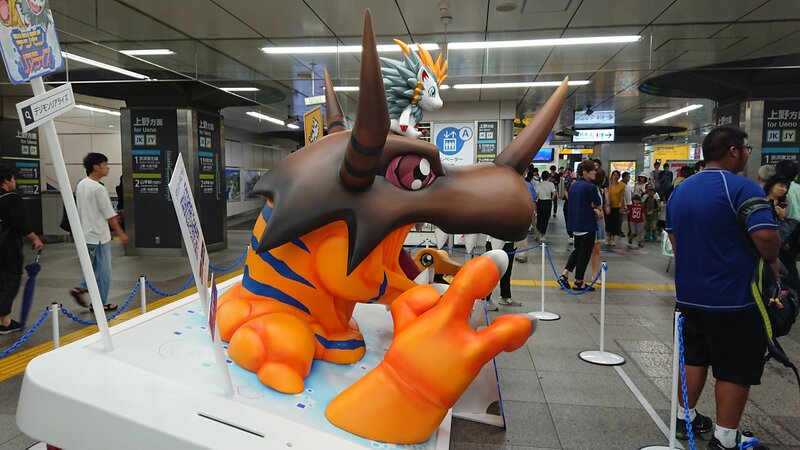 I agree with Chiefofwar117, should be on display 24/7...or go to a building of a digimon amusement park! Added more images of the statue, showing it from different angles. I am SO gonna check that out on Monday. Added details for the Twitter campaign.